Please note: For more details about any of the rental listings posted below or availability requests, please contact the renter/owner directly. Each renter/owner's contact info is listed with the details of each listing. Please do not contact Terry regarding rental questions or availability as he does not manage these properties, and therefore will not be able to answer your questions. Thank you. Attention: If you have a listing below and would like to make a change you must supply the reference number. Sand Lake at Westport... Right in the village. Description: This newly renovated Wolfe Lake cottage getaway is nestled close to the water and sleeps seven. It is situated 3 hours from Toronto, an hour and a half from Ottawa, 45 min. from Kingston and 20 min. from Perth, 10 min. from two nine hole golf courses, hiking trails, main restaurant and great shopping. Wolfe Lake is well known for excellent walleye, pike and bass. Fishing guide available upon request. *Please no smoking, no pets and linens are not included. Main level: laundry closet, bathroom, master bdrm, greatroom/dining/kitchen and 6' X 30' deck, new gas BBQ never run out of propane again! Lower level: walkout (two six foot patio doors and two large windows, dart board, flat screen, DVD and VHS over 150 movies, games table, air hockey table, lots of board games, futon and a separate rm with a double bed. Well equipped kitchen. Wood stove and also a propane furnace. Wood provided. Just under four years old. Waterfront not great for swimming, Canoe, life jackets, dock. On a quiet bay great for canoeing and kayaking. Great for hiking as well. Great for quiet get away or New Year's parties etc. Road maintained all year. Quiet off the beaten path only three neighbours on one side of road only. View from windows mostly forest. We are totally off grid however; you would never know we are off grid. Solar system is fully automatic and if batteries get low generator will kick in. There is cell service. Description: COTTAGE FOR RENT ON BURRIDGE LAKE Cozy 2 BR cottage on spring-fed Burridge Lake. Sleeps 4 to 6 with the hide-a-bed. Can sleep up to 8 or 9 with the bunki. Three boats (paddleboat, rowboat, canoe), satellite TV, WIFI on patio outside, bottled water, propane and briquette BBQs. Huge 40ft dock, fendock and separate fishing/casting dock. Two acre level grassy field with apple trees and periodic deer. Cottage has baseboard electric heaters. Firepit at lakeside. Rate: July and Aug by the week. Otherwise, part week allowed.$995/wk for 4, Extra $100/person over 4. Max is 8 or 9. Bunki option is needed for 7-8-9 persons. Description: Offering a private, secluded cottage, three plus wooded acres on a spring fed private lake with almost 300 feet of rocky shoreline, deep clean swimming and western exposure. There is no public access and no motorboats.House has all the usual amenities including washer, dryer, barbeque, satellite TV, xplornet wi-fi, firepit, sitting deck and dock.Perfect for a couple or two looking to get away, unwind and relax.Weekly rental - $1,500. Maximum 4 adults, deposit $500, in by Saturday at 4:00, out the following Saturday by noon. Linens and towels supplied.This property is currently for sale and a showing may be requested at a time that is convenient for all. There is no obligation to accomodate. Description: Beautiful Buck Lake cottage.Three bedrooms. Gentle slope to water. Sand beach.Boats available. Description:Our cottage is a cozy, quaint, 3-bedroom, 1 bath cottage, steps from the shores of Buck lake where you can fully enjoy the waterfront with south exposure for full early morning and afternoon sun. The open concept from the kitchen to the living/dining room are great for family meals and games. To maximize your enjoyment of the outdoors there is also a screened-in Muskoka room with furniture for dining with a great view of the lake and an outdoor fire pit. Truly delivering the cottage life experience that everyone desires! Description: Relax in a rustic cottage on a beautiful, natural, wooded, Skootamatta Lake waterfront lot with sunset view, fire pit, propane BBQ, private boat launch, 30'x10' permanent dock with swim ladder, sandy area for kids, screened sun porch, canoe, paddle boat, 3 bedrooms (sleeps 6-8) Skootamatta Lake is very peaceful with lots of crown land and little boat traffic. It's a VERY POPULAR location. You're never too early to book. May-June and Sept-Oct non-peak season discount. Please send an email for more information. We'd love to have you enjoy our place up at "The Skoot"! Description: Unbelievable 3 bedroom (sleeps 14), cottage, with bunkie, paddle boat, aluminum boat, sandy beach, amazing fishing, swimming. Go to www.hansonhaven.com. Description: Beautiful private setting on two acres, featuring 4 bedtooms, 2 baths,internet, washer/dryer, beautiful views, great fishing, kayaking,outside fireplace, sleeps up to 8. Contact Wendy. Description: FOR RENT 4 bedroom cottage White Lake, Godfrey, private location, clean lake, good swimming, boating & fishing, 3 double beds & 1 single kids beds,$1200.00 MAXIMUM 4 ADULTS & 4 kids (under 12) NO PETS. IN TIME SAT.12:00 NOON OUT TIME FOLLOWING SAT. 10:00am Avail Aug 15 - Aug 22, Aug 22- Aug 29, Sep 12- Sept 19, Sept 19 - Sept 26. bring your food, beverages and bathing suits... photos provided upon request. Description: Quiet, family oriented, waterfront, housekeeping cottages for rent on Rideau Lake 1, 2 or 3 bedroom, housekeeping cottages3 piece bath,fully equipped kitchen, with electric stove and fridge, micro wave, coffee maker, dishes, pots & pans - drinking water on tap. Description: Nestled on the Western most bay of Upper Rideau Lake on a quiet street right inside the Village of Westport this house is the perfect mixture of comfort and lakeside experience. Whether you enjoy fishing, relaxing, or shopping it's all there at this Westport Cottage. There are two bedrooms, an open concept kitchen/living room and all the comforts and appliances of home. Satellite TV, WiFi, washer/dryer, dock and deck. Pet friendly. Saturday to Saturday. $1350 per week, Please go to our website for availability, photos, and detailed. information: www.westportcottagerental.com or call 613-273-6135. Description: This 2bedrm, full size bathroom and kitchen, queen futon sleeper that can provide for 6 people sits directly on a low level lake. No steps to climb. This seasonal home is beautiful inside and very clean. This seasonal summer cottage provides you with all the amenities of home. It's located away from everything but 10mins away from Westport. Great hiking and not far from stores. Great Fishing lake. The house faces a low level and easy walk out to the lake with no steps. Great for children. It provides BBQ, screened in porch, fire pit, ping pong table, lounge chairs, bedding, all appliances. Rowboat and kayak and great fishing. It's a gem! Available July,aug, Sept. Book now! Call for pictures! Description: Silver Lake is a beautiful clean sparkling water front; small 2 bedroom with new carpet and front deck 8 x14; panoramic view of the lake as far as the eye can see; fresh water well, 3 piece bath, décor excellent; new stainless steel fridge and propane stove to match; leather sofa and kitchen round tabl; 40 feet from deck to water; fishing is good for bass; very short easy road access from Zealand Road; available wide open. Description: 3 BEDROOM COTTAGE ON THE UPPER RIDEAU LAKE, 2 DOORS FROM THE RIDEAU LAKES GOLF COURSE...GOOD SHORELINE FOR SWIMMING AND BOATING...VIEW OF WESTPORT. Description: Wolfe Lake Resort. Canoes, kayaks, rec room, docking. No pets no smoking. Sleeps 6-8. 2014 available June 6-13,Sept 26-Oct 3,Oct 17-24 at $ 1500 for week; weekend 2 nights at $ 750. July 11-18 and July 18-25 available at $ 1,950 per week. Description: Small, charming, clean cottage on the Mississippi River at Fallbrook (20 minutes to Perth). Two bedroom, three piece bath,kitchen, dining, living room and screened in porch. Suitable for two people who like a private natural setting. Wrap around deck, close to the water with beautiful view of the river.Canoe, rowboat, swimming(some weeds). By the month $2500.00 or by the season $6000.00 (June, July, August). References required, damage/ cleaning deposit, 25% to hold booking, balance due upon arrival. Email for pictures. Description: Upper Rideau lake cottage is on a 1 acre private landscaped lot with 525 feet of water frontage and is located just a few minutes from Westport Ontario. 4 Bedrooms, Sleeping 10 people with modern amenities like washer, dryer, dishwasher, central vacuum, master with an en suite Jacuzzi, this is ideal for one or shared by two families. For the kid in you, there is a tree fort/play structure with a huge sand box, fishing by the boathouse, croquet, badminton, bocce, volleyball and swinging on the Tarzan rope at the swim dock. Description: Fabulous 4 bedroom, 2 bathroom cottage for rent on Black Lake, situated between the beautiful towns of Westport and Perth. Historic cottage is over 100 years old but has been extensively renovated with original stone fireplace remaining. The cottage sleeps 10 and has a large great room and dining room. The cottage is on an acre of both flat lawn and forest, and sits on a point surrounded by 850ft of lake frontage so is VERY private. Brand new deck out front and composite dock to swim from as well as a shallow, sandy area for small children. Canoe, paddleboat and bicycles available. No pets please. Available August 10 thru September at $1250 per week plus septic pump out. Description: Beautiful three bedroom cottage located half hour from Kingston and an hour and a half from Ottawa. Cottage is conveniently nestled between Ottawa and Kingston on Benson Lake on the Rideau System. Benson is know for its excellent fishing particularly bass. Fantastic views. From the cottage you can use 5 different lake without having to go through a lock. (Benson, Mosquito, Clear, Indian, Newboro). 10 min. drive from the cottage is the town of Westport. Something to do even on a rainy day. Shopping, restaurants, 2 golf courses ect.... Gas, minimal supplies, LCBO also available by boat. Cottage Includes: air conditioning, 3 bedrooms each with double bed, flat screen TV/DVD, Full bathroom, Large living area with separate dining area fully equipped kitchen Propane BBQ fire pit Large dock with room for more than one boat with platform for sitting/swimming access to semi private boat launch access to the rideau trail for hiking. Description: A well kept three bedroom cottage in a private setting on Wolfe Lake. Southern exposure, with beautiful views, clean swimming and excellent fishing. This is the perfect rental cottage. Being only 10 minutes from picturesque Westport will give you plenty to do even on rainy days. The kitchen and bathroom are both fully equipped. There is a large sitting room with a beautiful view of Wolfe Lake, and an additional indoor/outdoor room allowing separate spaces for the children and the adults to relax. The numerous decks encourage lounging both by the cottage and down by the water. It is a perfect place to relax. This is an ideal spot for families who want to get away together and just relax. Description: Beautiful and comfortable Executive 4 bedroom waterfront home on the St. Lawrence near Brockville. Sleeps 8, 1.5 baths + extra shower. Fully equipped with all modern conveniences, easy access. Bright and airy great room with cathedral ceiling and floor to ceiling stone wall and fireplace . Updated contempary decor. Hardwood floors on main levels. Enchanting lower level with wood fireplace and tasteful cozy comfort, pull out couch, large windows, walk out access. Click Here for more information. Description: A lovely summer holiday cottage for rent on a small, quiet, beautiful lake in Eastern Ontario. The location is 15 minutes from the picturesque village of Westport or 20 minutes from historic Perth. •	Summer rates are $1250/week starting at 4pm on Friday until noon the following Friday. •	Off-season rates are $300/weekend and $1000/week. Description: Cottage on Newboro Lake. Nice water front and view. Excellent for swimming, skiing and fishing. Fully equipped with all amenities including dishwasher, washer/ dryer, satellite, wireless internet. Sleeps 8. $1350.00 weekly. Westport ON. Great for children. Shallow sandy clean water. 75 feet of dock with large platform sitting area. $1100.00 per week. You need to bring your own linens. Friday 6pm to Friday 1pm rental. Please No smoking or pets. Beautiful sunroom at front of cottage overlooking lake. Open concept kitchen and living room. 3 bedrooms (sleeps 6). 1 room with Queen Bed. 1 room with 2 single beds. 1 room with 2 single beds. 1 - 3 piece bathroom with a tub/shower. Items available for use: Canoe, Paddleboat, Aluminum boat (no motor), Barbeque, Coffee Maker, Kettle, Microwave, Toaster Oven, Full Oven, Dishes/pots/pans/cutlery/glasses etc., Small Boombox (takes CD's), TV in cottage (antenna) gets a few channels, DVD Player, Lots of Puzzles and Boardgames/Cards etc., No Phone but we have a Cell Phone booster so you should be able to get reception to use your cell phones. 2 bedroom plus sleeping loft, screened porch, west facing waterfront. All amenities on a beautiful Rideau Lake. 1.5 hour from Ottawa. 185-foot of waterfront, very quiet and private lot. Paddle-boat, 12'-boat, canoe. Fully-equipped kitchen. Weekly rental from Saturday to Saturday. For more information, please visit: http://sites.google.com/site/anjulcottage. Thanks for your interest. Description: Beautiful family oriented Cottage on Big Rideau Lake. This setting is a perfect location for a family looking for a cottage getaway in the Ottawa area. Situated 1 ¼ hours from Ottawa this Cedar cottage sleeps 6-8 comfortably, includes a loft area 2 bathrooms one with shower and a private outdoor shower. Large yard, swimming platform, 2 canoes, large dock, 16ft aluminum fishing boat included. Fully equipped cottage for a memorable vacation. $1295 per week (Friday evening to Friday morning), $2295 for two weeks, $4495 for a month. Book soon before all dates are gone. Description: Bennett Lake - Perth, Ontario Private cottage on beautiful Bennett Lake. Southwestern exposure provides amazing sunsets. 15 min. to Perth, one hour to Ottawa. 3 bedrooms, sleeps 10. Available for season, monthly or weekly. See pictures and get more details at ottawa.kijiji.ca "Bennett Lake Waterfront Cottage". Description: Private lakeside cottage on Pike Lake close to Perth and Westport. Living-room/kitchen, 3 small bedrooms, completely renovated bathroom, and large screened-in porch overlooking the lake. Fully equipped with large fridge, electric stove, microwave, coffee maker, TV, DVD/VHS player. Canoe and small fishing boat. Bring your own bedding/bath linens. $600 US per week. Deposit required. Call or email for further details and reservations. Spectacular views especially at sunrise and sunset. Appreciate nature as it unfolds in front of your eyes – loons, blue heron, beavers, chipmunks, osprey, eagles, otters just to name a few! Come prepared to feed the chippies! Two access points to the lake one with great docks for two to three boats and ladder into the water. There is also a stone pad with steps and the ability to walk into the water. Fishing is unsurpassed whether off the dock or your own private boat. Description:Recently Renovated, beautiful 3 bedroom cottage, with Bunkie, sleeps up to 12 people, sandy beach, shallow water entry, 60 feet of aluminum docks with stairs into water, spring fed, quiet lake, great swimming, fishing, complete with 12' aluminum boat with 4.5 hp motor and paddle boat. Fully equipped, cottage, modern plumbing and kitchen with large kitchen table and windows facing the lake. Enjoy sunsets and sunrises, great diving rocks on private islands, lots to explore. Westport ON is 20 minutes and Kingston ON is 30 minutes - there is stores within 15 mins (Verona ON). 1,200 per week you need to bring your own linen. or 650.00 for weekends. See website http://hansonhaven.com/ for more information. Description: Peaceful Waterside Retreat. Located between Kingston & Westport this newly renovated 2 bedroom cottage + new barnboard bunkie is situated on a small, quiet lake with great fishing, swimming & canoeing/kayaking. Much to see and do in the area and a short drive to Kingston's farmers market, the drive-in, 1000 Island Cruises, etc.. On the same road as Queen's University Biological Station and the Rideau Canal (Chaffey's Lock). Please peruse www.UpperRockLake.tumblr.com and email UpperRockLake@hotmail.ca for info sheet and rates if interested. We hope to see you! Main floor features the living room/kitchen, master bedroom and a 3 piece bathroom and mudroom Bathroom with bath/shower, towels, hair blower, first aid kit and washer/dryer. Master bedroom: new king sized bed, hypoallergenic comforters and pillows, cotton sheets, linen duvets, electric fireplace, flat screen tv, movie selection. Lakeside bedroom: a separate entrance, new queen size bed, hypoallergenic comforters and pillows, cotton sheets, linen duvet, washroom, sitting area, a coffee maker and a Bose sound system.Outdoor Amenities: BBQ, canoe, paddleboat, dining table seats 6, picnic table on the point, hammock, lounge and Adirondack chairs, parking for 3 vehicles, lifejackets (check for sizing), good bass fishing right from the dock. Description: Idylic, six acre, very private island with modern 2 bedroom, 2 bathroom home, separate studio type cabin with 1 bedroom, full kitchen, full bathroom, large deck. (Sleeps 10 total with pull out sofa's.) Gorgeous large screened in gazebo with 270 degree water views, large swimming dock with incredible sunset views, and much more. Absolutely stunning views all around.Looking for a memorable family holiday of swimming, boating, total privacy, incredible views, and great Fishing? Enjoy the total privacy and spectacular beauty of our island in Newboro Lake. Part of the World Heritage Rideau Canal System. Connected to six lakes without passing through a lock.Modern year round home with all amenities. Completely furnished. 2 bedrooms 2 bathrooms / master ensuite. All appliances TV / DVD / CD / MW / DW / WD / electric heat. Deck off kitchen with BBQ. Spectacular treetop view of lake. Perfect well water.Separate sleeping cabin with kitch en, bathroom, open concept, sleeps four. Large deck off sleeping cabin.Fully screened Gazebo on point with firepit. Just you and the loons at night. Beautiful, large swim dock. At night, with the stars overhead and the loons calling, this is a piece of heaven.Six acre forest of mature oak trees. Spectacular rock outcroppings to discover. Pets welcome! Private dock with parking opposite island on mainland. Rental comes with a large aluminum boat and 9.9 motor, kayak, and canoe included. Just l2 minutes from Westport. Exciting boutique shopping. and restaurants. 30 minutes from Kingston and Perth. Two golf courses nearby.One of Ontario's finest bait and tackle shops, Norris's, only five minutes away.Whether you want family time, getting away from it all, a natural paradise, or great fishing, our island offers it all.SPECIAL OFFER FOR SEPTEMBER GETAWAYS. CONTACT US FOR DETAILS. $1750 week July / August Ask about our special monthly rate. 613-273-6200 Go to kayserislandestate.com for photo tour. deck. Cottage Nova Scotia, The Blueberry Bay Cottages are the best situated cottages in Nova Scotia. They are in the woods, at the beach or at the ocean, have lots of space and are unique in style and design. So get your Rest and Relaxation in one of our cottages overlooking the ocean! Enjoy the peacefullness from the South Shore and visit Liverpool, Kejijmkujik, Lunenburg and Halifax from your Cottage. lots of space to relax. Kyaks are available..Daily boat rentals are available at two local marines..
the heart of Westport overlooking Mill Pond and Foley Mtn. Steps to the Rideau, shopping, dining, etc. Fully equipped. Go to Cottages in Canada for pictures and further info. Description: Water access only from pine shores marina. 20 ft pontoon included. $1600/week. Email me for pictures. Description: CABIN FOR RENT - Getaway for two? Brand new cabin / sleeping bunkie available for rent, on a private lake, near village of Westport, ON. Cabin located just minutes away from Devils Lake, Wolfe Lake and the lovely shopping village of Westport. Private cabin located on 15 acres of private property, that includes: private lake, walking trails, great fishing and wildlife. Includes 800' of waterfront, dock, canoe, Hammmocks, summer kitchen, outdoor fire pit, screened in deck overlooking the lake. (Extra tent platform for a guest or kids) Beautiful outdoor recreational property. Great getaway, romantic getaway for you and partner! A beautiful cottage on Westport pond. Close to the village in a private, tranquil location. Check out our website. Our Bunk House offers a private entrance, fully furnished, clean and comfortabale. Sleeps 5. Description: New, two bedroom cottage on the Rideau in the village of Rideau Ferry. A ten minute drive to the historic town of Perth and located within a 15 minute drive of aprox 6 golf courses. Great swimming, wonderful sunsets and excellent docking (can accommodate up to a 24 ft boat) Air-conditioning, internet, satellite television, gas barbeque, dishwasher and two person whirlpool tub all included. Will accept reservations until after Thanksgiving. $850.00 per week and available for weekends after August 31.
quite with plenty of privacy - 2.5 acres and 600 feet of waterfront. Description:Beautiful, kid friendly 3 bedroom cottage on Long Lake. Great sunsets from a nice level lot very close to the water. Cnoe, Kayak, peddle boat along with an awesome dock and floating raft. Perfect spot. Great fishing and boating / tubing lake. Description: Luxurious Waterfront: Spectacular waterfront retreat located on the Big Rideau (only a few minutes from Westport, Newboro, and Portland). Entire facility available for weddings, family reunions, and other gatherings. Hot tub, firepit, foosballtable, indoor pool with hyrdro gets, Tiki bar, gorgeous spacious decks overlooking lake, private docks, crystal clear water for swimming and boating, incredible fishing, all linens, towels, and wireless internet provided. Description: Great 2 bedroom cottage on level lot on Crow Lake. Located in Crow Lake Village right beside the public beach and boat launch for easy access for boating. Cold water lake with trout, bass, walleye, crappie etc. with great fishing. Great swimming with no weeds or zebra mussells. Canoe and windsurfer included in weekly rental. Description: Stunning custom built home on private Labelle Lake. Just 1 hour and 30 min. from Ottawa, and 10 min. south of Westport, Ontario. This little piece of paradise offers serenity and privacy in a wilderness setting. This home is complete with a gourmet kitchen, luxurious baths,cherry floors, home theatre and integrated sound system. Too many wonderful features to mention, this is a must see. Owner is motivated to sell or long term rental. Description: Wonderful Chalet right on the lake - only 25 minutes from downtown Ottawa in the Gatineau Hills!!! Very clean, comfortable cottage! Canoe, Kayak, Pedal Boat and Lifejackets available. Beautiful lakeside firepit. Right on the water this clean quiet spot is great for the family vacation or the couples get away. Great bass and muskie fishing in Lac Gauvreau (bring your own rods and tackle and fishing licenseBBQ and dine on deck overlooking the lake, does it get any better! Full Kitchen, including wine glasses and other basic amenities and spices Pot, pans, cooking ware, etc. This property showcases the very best in nature while providing its residents with tons of fun activities that make up a true cottage experience. The waterfront cottage sits directly on lac Gauvreau in La Peche community. La Peche is widely known for Wakefield village, an artistic village community. Wakefield village boasts of festivals, live music venues, fresh vegetable markets and amazing restaurants with patio's along the waterfront. Lac Gauvreau is only 30 minutes to downtown Ottawa and 5 minutes to a local butcher, liquor and grocery store. Waterfront: only steps away from the waters edge. Equipment: Shower, flush toilet, water cooler. Maximum 6 people there at any time. Description: 3 level log home on the Ottawa River, 15 minutes West of Shawville, Quebec. Sleeps 18, two bathrooms. 1.5 acre lot with sandy beach. Pets welcome, non smokers only. Inckudes kayak, small sailboat and two canoes. Great fishing and boating. Description: Just twenty minutes from Huntsville this waterfront cottage is great for all ages! Enjoy the 12'x12' fully screened in octagon wooden gazebo, large dock, 5 person paddle boat, 12' aluminum boat, 5 adult life jackets and 1 child size life jacket, large deck, propane BBQ and fire pit. This cottage retreat has a large private property, almost 2 acres in size, with a gradual slope to the water and 150 feet of a sandy, flat shoreline. This is a great place for kids to play in the sand on the large beach and the water is shallow with no sudden drop offs. The beach is also private. This 1300 square foot cottage sleeps eight, with three bedrooms all with queen size beds. Plus a pull out couch in the living room with cathedral ceilings. There is also a four piece bath. We are only minutes away from a public boat launch. Enjoy great fishing and swimming right from your own front door. Huntsville offers many restaurants, golfing, shopping and tourist attractions. Bring own towels, bedding, linens, and drinking water. RENTING FROM A SUNDAY TO FRIDAY. Sorry no weekend rentals. Check in time on Sunday is 2:00 p.m. Check out time on Friday is 6:00 p.m. Rental period begins Sunday, June 10, 2012 and ends Friday, September 21, 2012. Description: Voted the NUMBER 1 accomodation in the area! You will stay in the highly sought after area of POPLAR BEACH on a "first row" quiet street which caters to FAMILIES and RETREAT GROUPS ONLY. http://www.cottagesincanada.com/grandbend info@cottagesincanada.com. Description: Unparalleled private eco-retreat and nature lover's paradise. 3500 feet waterfront peninsula with massive private beach, marsh, acred pastures. World class fishing on wolfe lake - private boat access/mooring. Incredible wildlife a to z. Big outdoor cooking "fireplace"/bbq. 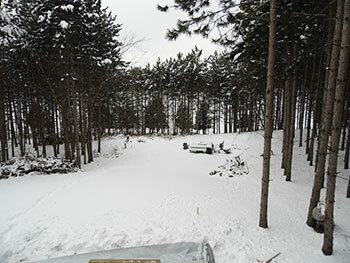 See pics: "main white cottage" sleeps 6 plus big sofa: "brown chalet" sleeps 3: "log cabin" (no power, not shown) sleeps 3. Ample bucolic space for tents/additional camping. Pet friendly. "outdoor only" smoking. 2 very functional, clean, fun and pleasant-smelling outhouses. Chalet and main cottage are both fully equipped with power, fridge, stove, microwave, phone, amenities. Byo: sheets, pillow cases. Westport 8 mins. Perth 25 mins. Kingston 40 mins. Malcolmleigh69@hotmail.com. Description: An ideal location for a family reunion, a girls' get-a-way or a peaceful retreat for couples. Perfect for the avid fisherman. Our property is located 25 minutes north of Kingston, Ontario on beautiful Dog Lake. The cottages are situated on 125 acres in a natural setting, a stone's throw from the water. We have our own docking and are located next door to a public boat launch. Dog Lake is part of the Rideau System and is renowned as a superb fishing basin. Present species are lake trout, northern pike, yellow perch, black crappie, and both large and small mouth bass. Bait and fishing licenses are available for purchase nearby. Fishing guides may be arranged through us. Description: Beautiful 2-bedroom all season luxury villa facing lake. Sleeps up to 8 people, 3 bathrooms, on Wolfe Lake, 5 km from Westport on Big Rideau waterway. Resort adjacent to 9-hole Evergreen Golf Course. Boathouse with private docking available, excellent fishing, includes canoes, kayaks, paddle boats. Appliances include 2 fireplaces, modern luxury kitchen, 2012 Weeks: (Feb3-10; Feb 10-17; April 13-20; April 20-27; July 13-20; July 20-27; Sept 7-14; Oct 5-12 (Thanksgiving); Oct 23-30; Dec 7-14. Min 3-night weekends available in off season only during 2012. Rates range from low-season $1,200 week to peak season $1,900. Description: Upper Rideau Resorts, is located on Rt. 42 W, in Westport, Ontario, on the shore of Upper Rideau Lake. There are 500 feet of water frontage on 5 acres. Each cabin has a direct lake front view from your screened in porch or bay window. The grounds are surrounded by shade trees and rolling lawns. Boating and water sports are easily accessible from your cabin doorstep to your assigned dock. Fishing for Smallmouth and Largemouth Bass is excellent. Northern Pike, Walleye, Perch, Crappie, Lake Trout and other Pan Fish are also very plentiful. While Upper Rideau is located in a quiet picturesque setting, there are many diverse forms of entertainment available. Westport, is 2 miles down the road, Kingston or Smith Falls are within 1 hour, and Ottawa is 1 ½ hours away. All these and other parts of the surrounding areas provide nice shops, good restaurants, golf, etc. When you stay at Upper Rideau Resorts your vacation can be as relaxing and stress-free as you desire. We want to ensure that guests have the opportunity to experience the vacation of their choice. Description: 4 cottages on 4.5 acres located in a quiet bay. Park/playground for kids, lots of space to run, pool, gazebo, outdoor games, boat rentals. Please visit the website www.opiniconpines.com for more information and prices. Description: Conveniently located between Toronto, Montreal & Ottawa, the Winking Rosebud Retreat Guest Cottage is available to rent Dec 23rd to December 30th. We are on a gorgeous private 80 acre wildlife conservation area with beautiful views of Big Rideau Lake and extensive nature trails that can be enjoyed for walking, hiking, snowshoeing, cross country skiing, or ATVing. The Guest House truly is a magical place and promises to be a vacation not to be forgotten. It has four bedrooms, two with Queen sized beds and two with double-bottom-single-top bunk beds, a large open concept kitchen dining living room with hardwood floors throughout, windows overlooking the lake, a wood stove; Hot tub, Propane BBQ, Foosball Table, Fridge/Stove, Washer/Dryer, Dishwasher, DVD player, some DVD movies, stereo, satellite television, microwave, fire pit, board games, horseshoe pit, cutlery, dishes, deck off the cottage. Description: Well kept ranch style cottage overlooking Devil Lake, a beautifully clean and very deep spring fed lake just a 15 minute drive outside of Westport, Ontario. Located 45 mins North of Kingston, Devil Lake offers some of the best fishing in the area including pike, large and small-mouth bass and even Lake Trout. Description: If relaxation and calm are what you are searching for - Devil Lake is the place for you. We have a large, square-log, post-and-beam style cottage on the West arm of Devil Lake, a beautifully clean and very deep spring fed lake just a 15 minute drive outside of Westport, Ontario. Located 45 mins North of Kingston, Devil Lake offers some of the best fishing in the area including pike, large and small-mouth bass and even Lake Trout. t $800 week (May to mid June and September to mid October). Contact us at rbbeange@rogers.com for more information and photos. Description: Fully equipped cottage located on beautiful Devil Lake, 10 minutes south of Westport and 30 minutes north of Kingston. Private setting, 310' feet of great waterfront and 3.97 acres of land. Swim or fish right off the dock.Cottage features: 2 bedrooms, one with a queen bed and the other a double plus a single bunk, two walkouts to a large deck, 3 piece bath (with shower), BBQ, TV with DVD/CD player (no satellite), 12' alu boat with 6 hp motor, Bath, bedroom and kitchen linens provided, $800.00 per week of $500 per weekend, Please no smoking or pets. Call or e-mail Peter or Leanne Clipsham for more photos and info. Description: Two bedroom lake front cottage on the North Shore of CalabogieLake. Beautiful view of Peaks and rolling hills. Sleeps up to 6 (bdrm 1 = queen, bedroom 2 = dbl/twin bunk & twin, single day bed in living room).Full bathroom. Kitchen with microwave, full stove & fridge. Cottage uses lake water, bring your own drinking water. $1000 per week. No smoking and no pets. Description: Our cottage sits on Hay Bay in the heart of Walleye country. Its bright and clean with 3 bedrooms, full bathroom, kitchen. (attached to Bob's Lake) for a relaxing summer vacation. Check our site at www.lazybearcabins.ca for more info. Thank you. Description: $1400 - Lower Beverley Lake, Rideau Lake Townships, for rent per week. TOTALLY renovated 4 Bedroom (2 Bedrooms with Queen & and set of Bunkbeds)> One with Single Bed and one with Queen bed.) 2 FULL bathrooms, ONE Den (off Kitchen with a foldout) a Upper Living Room and a Lower Walkout Rec. Room. Huge country kitchen. 1 acre of waterfront property. Renovations to be completed in the next few weeks. Book now the summer week book fast > 50% deposit required to hold rental!! This won't last. A fisherman and golfer's paradise! 4 season cottage with a great view. 1 acre of land flat to the lake, cul-de-sac with only one neighbor past us, another neighbor on the other side, an awesome drive...only 1hr. 25mins. from Ottawa, 40 mins from Kingston! There is a TREEHOUSE! Description: 2-bedroom apartment, 2nd storey of house on heritage cottage property. Pool, beach (Farren Lake). Furnished. All included. $1500 month. Call Cam (613) 384-9910 or e-mail mceachern.cam@gmail.com . Buck Lake - 2 bedroom cottage, sleeps up to 8. Located 45 minutes from Kingston, 90 minutes from Ottawa. 100ft of pristine waterfront, perfect for swimming. Small rowboat and paddleboat available. Screened in porch to enjoy the summer weather without the bugs City type bathroom, water is from the lake so just need to bring drinking water. Good for hiking, biking. Trails are everywhere. Experience Rideau lakes and active retirement area before moving. Lovely renovated farmhouse, on an acre, fully furnished, walking distance to downtown Westport, two blocks to beach/boat launch. Views, studio space. Will be travelling for year and house can be available from August 1st. Suit family. 40 mins Kingston, 25 minutes Perth. strathnaver@rogers.com for photos, details. There are several very good restaurants nearby and many attractions to visit and things to do. Of course our beautiful uncrowded beaches are the main attraction, but nearby are quite a few golf courses, a public fishing pier, a full service marina, a beach bar, several grocery stores and two civil war forts. There is the Bon Secour wildlife Refuge and hiking trail, and the Dauphin Island Ferry that makes you convenient to Bellingrath Gardens and the casinos at Biloxi and Gulfport. Contact owner: tonnymar@aol.com for more information about my cottage. Description: This rustic charming cottage is situated in a private picturesque setting. Master bedroom has queen bed, second bedroom has a double bed and third bedroom double bunk beds. Also has queen pull out bed in grand room and futon in sun room. Spacious deck with fire pit area. Cottage includes row boat and two canoes. Price is 1,000 per week but would ideally like to rent to one tenant for July and August, if so, will include the month of June at no cost. Non smoking cottage. Linens not included. Description: Modern, New 2 Bedroom, 2 Bath Unique Bunglaow Townhome in Westport with a beautiful view of Rideau Lake. You can walk to everything and take advantage of the many Westport events. Can rent by the week or month June to September. Air conditioned, gas fireplace and propane BBQ. Satellite, DVD, Washer Dryer, Dishwasher. Grass and snow removal included. Non smokers please and no pets due to allergies. You can call or email Donna at donnagarland@rogers.com. Description: This elegant stone house holds the flavour of its past but offers all the modern conveniences. Backing onto the upper Rideau we have 3 rooms with baths, a screened verandah overlooking the pool and gardened grounds with 2 kayaks and a canoe. Living and dining rooms, with dining on verandah as well. There is a washer, dryer, TVs, DVD player, and internet. Park the car here and walk to restaurants and shopping in the village or hiking on Foley mountain. Golf near by. Fenced yard for dogs and children welcome. Description: WATERFRONT COTTAGE FOR RENT - HOME AWAY FROM HOME !! all those special times in your life? 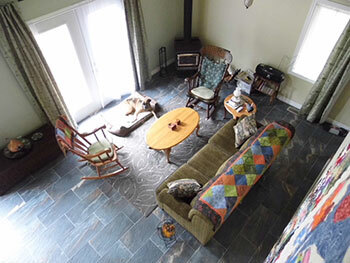 Romantic Cottage Holidays offers you just such lodgings a short 30 minute drive west of Kanata (Ottawa). Comfortably accommodating from 2 to 8 people, the cottage is furnished and has a beautiful open concept design. There is a spacious living room, which has a piano and a poker table, a full washroom with Jacuzzi tub, fully equipped kitchen and eating area, one bedroom with a queen-size bed, and a second bedroom with 2 twin beds. Pricing (Canadian $'s) based on 4 person occupancy, $25.00 extra for each additional adult (16 years or older). Balance due on arrival. Description: The Winking Rosebud Lakeside Retreat is a private magical getaway nestled in the trees and enjoys an expansive view of the crystal clear waters of Big Rideau Lake. The property is located on the serene Murphy's Bay and is situated on an enchanted 80-acre miniature horse farm with beautiful walking and biking trails. Description: Beautiful, peaceful family cottage, with it's own private point on the Big Rideau's N.Shore. 3 BR 1Bath Cedar Cottage w/ screen porch and firepit. Due to circumstances it is only available on a monthly basis. Currently July is the only month left. 2 man kayak, canoe and 12' fishing boat w/ 4hp. Boat lift also available. Description: 1 hr from Ottawa, 45 min from Kingston. Excellent sandy beach. Modern, 3 bedroom (King, Queen, 2 doubles) + full modern bathroom;bar in kitchen with dishwashwer, sunken living room & dining room. Screened porch, large lot, trampoline raft, canoe, and paddleboat, dock. 20 min from great golf/shops & 25 min from Perth hospital. Description: Sand Lake, Elgin, Ontario, 2 Bedroom A lovely 2 bedroom cottage on Sand Lake on the Rideau Lakes System, near Elgin ON (1.5 hours from Ottawa and 40 minutes from Kingston) that is available for weekly, biweekly or monthly rentals June, August and September 2015. (Saturday to Saturday rental). The cottage easily sleeps 5 (one bedroom with a double and another bedroom with single bunk beds and a single bed). The kitchen has a full-sized fridge, stove and dishwasher. There's also a toaster, coffee make, kettle and water cooler (bring your own 18.9L water bottles). The kitchen table easily seats 6 people. There is a living room with 2 couches, a TV and DVD/VHS player/tuner (radio). There is another sitting area for reading. There is a lovely screened-in porch that overlooks the the lake. The property has fantastic deep water swimming right off the dock and with a raft about 40 feet off shore. The lake has great bass fishing for those who are interested. The rental comes with a canoe and paddles. About 1 km down the road is a township park with a lovely gradual entry sand beach and 2 nice play structures. The price is $975 / week for August rental and $800 / week for the June and September rentals. Description: Spacious, modern, beautiful, 2 bedroom waterfront property. 2 double beds in master bedroom, 2 single beds in second bedroom. A 4 piece bathroom with shower & bath. There is also a beautiful large sunroom for your use on rainy days. Fantastic fishing & swiming in this pristine spring fed lake. There are 2 floating docks, one for boats & one for swiming & sliding. There are 3 decks to use for relaxing, entertaining or sunbathing. There is plenty of outdoor furniture to use. There is a modern kitchen with a toaster, microwave, oven, fridge, stove & utensils for up to 8 people. There is also a BBQ, TV, DVD player & movies to use. The towns of Perth, WestPort & Sharbot Lake have many attractions for varied interests. Fine restaurants & golf courses abound in the area. Perth hospital is 20 minutes away. Smith Falls hospital app.45 minutes away. There is a walk in clinic 15 minutes away in SharbotLake. This is a great place to fish, play, relax & just enjoy. Description: Waterfront, eco-friendly, deluxe, self-catered cottages on Newboro Lake, on the magnificent UNESCO World Heritage Rideau Canal. One, two and five bedroom accommodations await you. Restart, rewind, relax at our gorgeous cottages. Description: We are minutes to Calabogie Peaks Ski Resort, Calabogie Lake & Calabogie Motor Sports Track. Ontario cottages daily or weekly. This rental includes more than you would find at other Cottage lodgings. Description: Adorable cottage for rent on beautiful Stoney Lake in the Kawarthas. For summer, and spring/fall rates, please inquire through email. Also available weekends and long weekends throughout the year. Child-friendly, level lot, absolutely stunning view, facing west for beautiful sunsets. Outdoor newly-constructed wrap-around deck for entertaining. Weber BBQ, paddleboat, canoe, etc. Wade in shoreline, with greater depth off of the dock. Interior is large, with approximately 1150 sq. feet. Vaulted ceiling in kitchen eating area and family room. Extra media/kid's room, three large bedrooms, 4 piece bath. Large kitchen, with pantry, lots of cupboard space. The cottage is very clean, and updated. New hardwood flooring, and there is a mudroom/laundry room with washing machine. Sleeps 7-8. Satellite tv, dvd, games, and all the comforts of home. The lake offers many activities and weekly events throughout the summer. The cottage is 14 km from the adorable town of Lakefield, which has all amenities. Contact us via email for photos, etc. There is a kayak, badminton, and a swing. There is also an armour stone firepit, large play sand area at the water edged with armour stone. Note: access to the cottage is easy, with many trails close by. Description: One of a kind: Beautiful 4 bedroom cedar cottage (inside and out) located on a quiet bay on the Big Rideau on an 80 acre miniature horse farm with private walking and biking trails. Private dock, raft, and canoe with fantastic swimming in crystal clear water. Excellent fishing. dishwasher, microwave, washing machine, dryer. Create beautiful memories in this gorgeous spot. outstanding bed and breakfast suites in the Manor or one of the fully-equipped themed cottages. (except beach towels). Each has a fireplace or air-tight wood stove - most are propane. The guests have access to the beach area with a dock; canoes; kayaks; paddle boat. Fishing boat and motor is available for rent. There is an in-ground pool available for all guests and a play area for children. Description:Vacancies still available for this season! Located on the shores of a bearutiful mid-sized lake just 40 minutes north-east of Kingston (accessible by maintained road), this cozy, lakeside cottage is sure to provide the perfect getaway for families, couples and fishermen alike. This extremely clean home away from home features tasteful vintage and antique decor, a newly renovated bathroom, fully equipped kitchen with large harvest table, sizeable sitting area, three bedrooms (comfortably sleeps 6 people), each complete with comfortable beds and quality linens. A BBQ and fire pit as well as a dock and a gorgeous west-facing waterfront boasting excellent swimming and fishing, all ensure an authentic cottage experience. Just a quick walk down the road and you'll find a park, ball diamond, sandy beach, boat rentals, horseshoes, nature trails and much more! The quaint and quiet town of Delta has everything a cottage vacationer could want or need, including a grocery store, LCBO, antique store, historic Delta Mill, restaurant and several golf courses. This cottage was in the same family for over 50 years and has never before been rented. A perfect place to make memories. Rented each week from Saturday at 3 p.m. to Saturday at 11 a.m. Weekly rates vary depending on the season - May & November $500, June & September $700, July & August $850, October $600. A $300 damage deposit is required and is returned upon check-out. Discounts available for multiple week rentals. This is an entirely NON-SMOKING cottage and no additional overnight guests are permitted. Please contact Kelly or Steve with any inquiries (613) 389-9240.